2 Bedroom Detached Bungalow For Sale in for £192,000. Bairstow Eves are proud to present this brand new detached dormer style bungalow which offers versatile accommodation. The property comprises entrance hall, bathroom, bedroom (16'4 x 11'5) or second reception room with built in storage, kitchen (14'9 x 11') and lounge (14'9 x 11'5) both with access to the rear. Upstairs there is a shower room and two bedrooms (15'8 x 12'1 and 12'1 x 12'1). Outside there are gardens to the front and rear and a block paved driveway to the side. Situated within the coastal village of Chapel St Leonards which has amenities to suit all ages including shops, bus stops, doctors surgery, pubs, restaurants and a thriving village hall within 400 yards of the site. 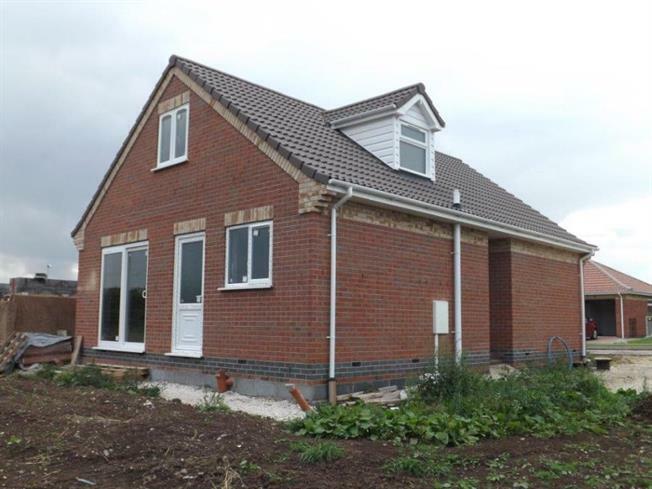 The development, built by well respected local builders S Jackson and Sons, who have been building in the village since 1946, comprises a range of two and three bedroom detached bungalows with garages, and 2/3 bedroom dormer style semi detached properties with block paved driveways. They will all include oil fired condensing boilers, assisted by solar panels which can provide up to 60% additional hot water, subject to conditions. All properties will include a 10 year NHBC warranty and will be built to a high standard that includes block paved driveways, stone window sills, 6ft fencing and turf to the front gardens. Whenever possible, purchasers will be able to select from a range of tiling and kitchen units to suit personal taste (this is dependant on build stage, so please get in touch as soon as possible). Available for completion April 2018.